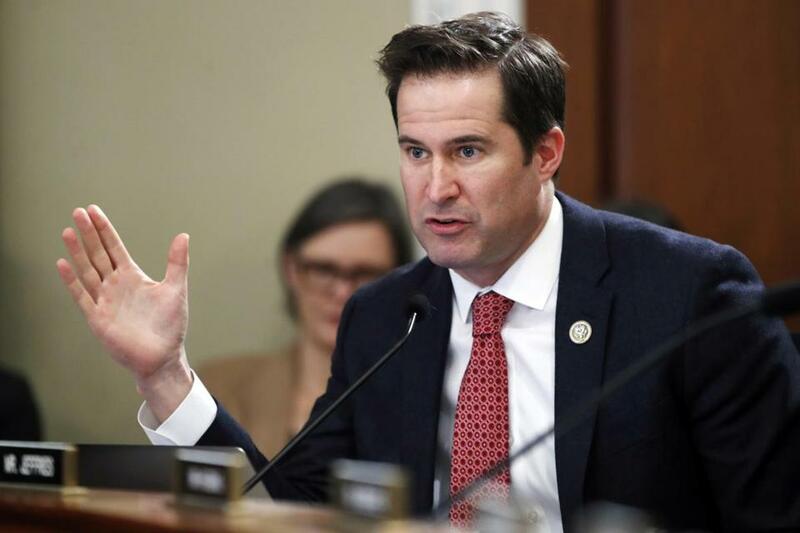 US Representative Seth Moulton has urged two colleges in Massachusetts to cut ties with on-campus institutes that have ties to the Chinese government and are believed to promote censorship and undermine human rights. Moulton, a Democrat from Salem, sent letters this week to Tufts University and UMass Boston asking them to disassociate with the Confucius Institute, which operates centers on both campuses. Confucius Institutes are cultural education organizations that exist on college campuses across the world. They are controversial because they are run by an arm of the Chinese government and are accused of teaching communist propaganda. “The Chinese government has been clear in its goal and purpose for creating and expanding Confucius Institutes throughout the country, namely to distort academic discourse on China, threaten and silence defenders of human rights, and create a climate intolerant of dissent or open discussion,” Moulton wrote. He also sent the letter to 38 other colleges in Greater Boston that do not have Confucius Institutes, his office said, discouraging them from ever opening one. “Ample opportunities and avenues exist to learn about the rich, historic Chinese culture and language through other means instead of an undemocratic government’s effort to restrict free expression and open dialogue on American college campuses,” Moulton wrote. The congressman is part of a growing wave of opposition to the centers locally and nationwide. Last month FBI director Chris Wray said his agency is concerned about the institutes and monitoring them. US Senator Marco Rubio, a Florida Republican, also sent a letter to a college in his district last month, urging it to cut ties with the institute. In January a group of UMass Boston students, professors, and alumni as well as outside advocates sent a letter to UMass Boston interim chancellor Barry Mills asking for a meeting to discuss their concerns. On Friday the group said it so far has not been granted. In their letter, the group of UMass affiliates did not point to any specific actions of the UMass Boston institute, but said they are concerned simply that an entity controlled by the communist Chinese government operates within the university. And, they say, they are worried that it recently helped to open similar centers in two public high schools in Cambridge and Brockton. A UMass Boston spokesman on Friday afternoon said the school had not received Moulton’s letter. He said the school’s contract with the Confucius Institute is under the standard review because it expires soon. A Tufts spokesman on Friday also said the school had not received the letter. The spokesman, Patrick Collins, said the university does not anticipate any changes in its relationship with the institute, which opened in 2015. He said it has made “valuable learning and cultural contributions to the university” and said programming is approved by Tufts staff. The institute’s courses do not bear credit and are separate from regular university courses, he said. The contract between the Confucius Institute and UMass Boston is set to expire this year. So far the school has not said whether it plans to renew the agreement, which was signed for seven years in 2006 and then extended for five more. Gao Qing, executive director of the Confucius Institute US Center in Washington, D.C., which oversees institutes in the United States, defended the institutes on Friday. Some colleges have shuttered their institutes. The University of Chicago and Pennsylvania State University ended their partnerships with the Confucius Institute in 2014. The study recommended that Confucius Institutes be closed unless college administrators can ensure total control over academic matters. Unlike cultural institutes run by other foreign governments, such as the stand-alone L’Alliance Française and Goethe-Institut, the Confucius Institutes are located on American campuses. There are 525 Confucius Institutes in 142 countries, including 110 in the US. The UMass center operated with a budget of about half a million dollars last year, according to information from the university, including $100,000 from UMass and almost all of the remainder from the Chinese government, including the salary of five employees. The center at UMass Boston also offers noncredit Chinese languages and culture classes as well as grants for UMass students to study in China. Moulton’s letter cited the concerns of others in asking that the centers be shut down. “Students, staff, faculty, alumni, and community members have raised concerns publicly and with my office about the Institute’s activities and efforts to sow government influence and in UMass Boston’s case, urged university leadership not to renew their agreement,” Moulton wrote.